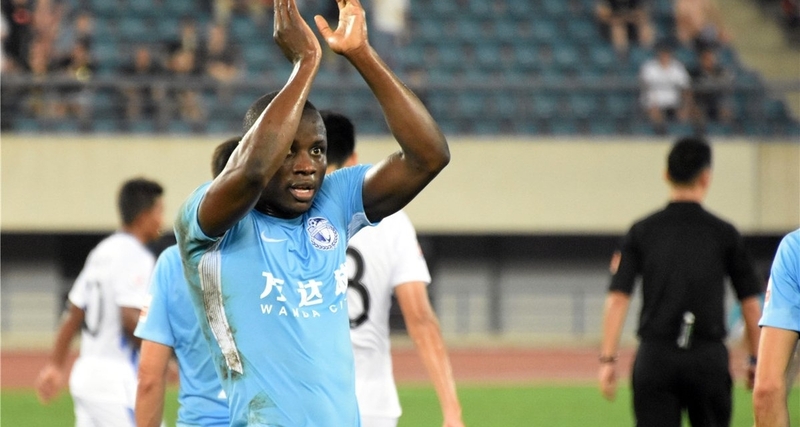 Nyasha Mushekwi scored his first hattrick of the season on Friday when his team Dalian Yifang beat Guangzhou R&F 3-0 in a league match. The 30-year-old Zimbabwe international showed class especially on his first strike when he received the ball from Yannick Carrasco inside the box before firing it to the roof of the net. His second goal was equally brilliant, hitting on the first touch into the near post. Carrasco fed Mushekwi again later in the game who tapped in effortlessly from a close range to complete his hattrick. Here is the video of his goals. Meanwhile, the former CAPS United player has now scored seven times in the ten appearances he made in this season.